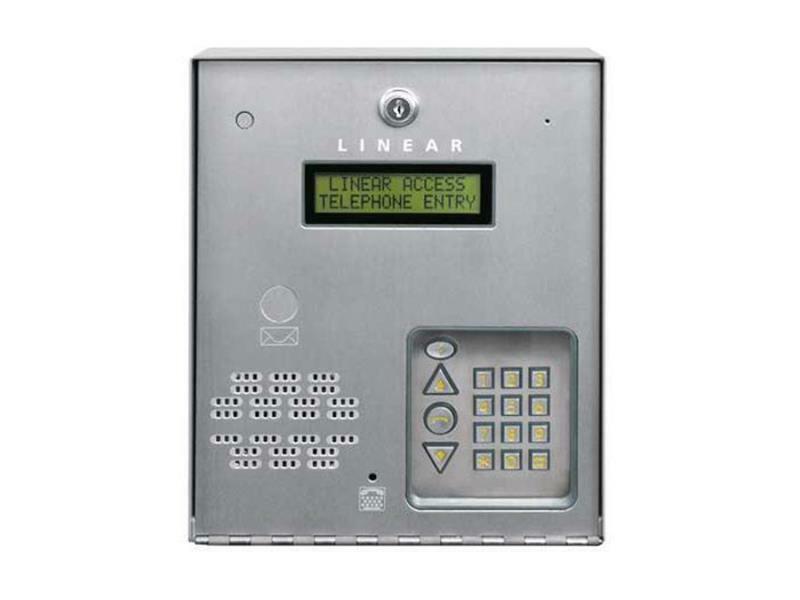 The Linear AE-100 is a telephone intercom that is great for office buildings and small apartment complexes were there is a need for multiple users who will have different guests visiting. This is not a nucleus device as it does not have the required relays to control request to exit (REX) devices. However, the AE-100 can control up to one locking device. The AE-100 allows for incoming guest to call individual numbers, using the built in directory. Up to 125 unique numbers and unique PIN numbers can be stored in a AE-100. Four A-E100s can be wired to the same dedicated phone line, this will allow for sharing of the programming data from the “master” unit to the 3 “sub-units.” Programming of the AE-100 can be done in one of two ways. You can either use the keypad on the unit or use a touch tone phone to program the intercom. When a building may have more than one possible entrance such as a main lobby entrance and a secured parking garage, you will be able to use multiple AE-100s to have a secure method of entry. This will allow both guests and residents the ability to use the same PIN or entry method to gain access to the building. As a guest approaches the AE-100, they will scroll through the directory to find the proper phone number. They will then input the unit number, which will dial the user's phone number. The programmed user will then answer the phone and will either allow or deny the guest entry. 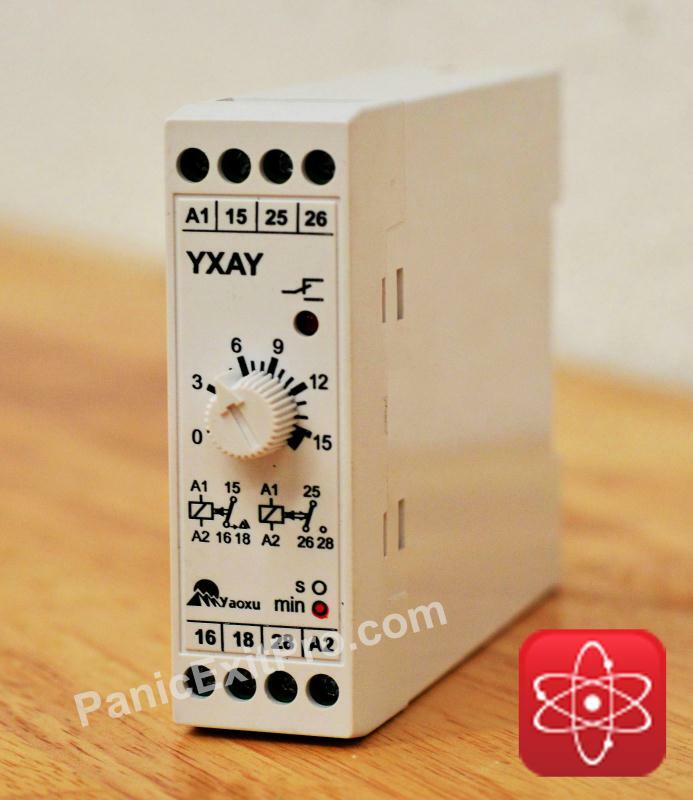 Although the A-E100 is not a nucleus device, because it does not have necessary relays for exiting devices. 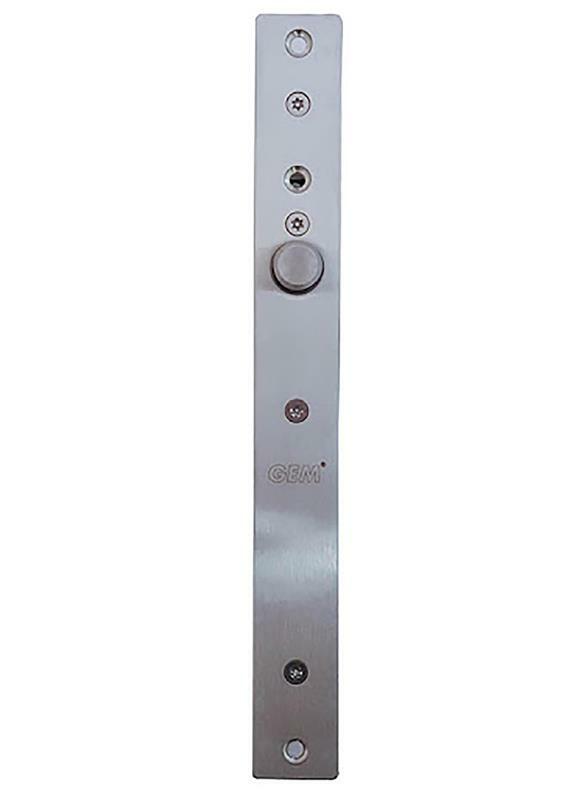 You could pair this intercom with a microswich panic bar or a switched handle. 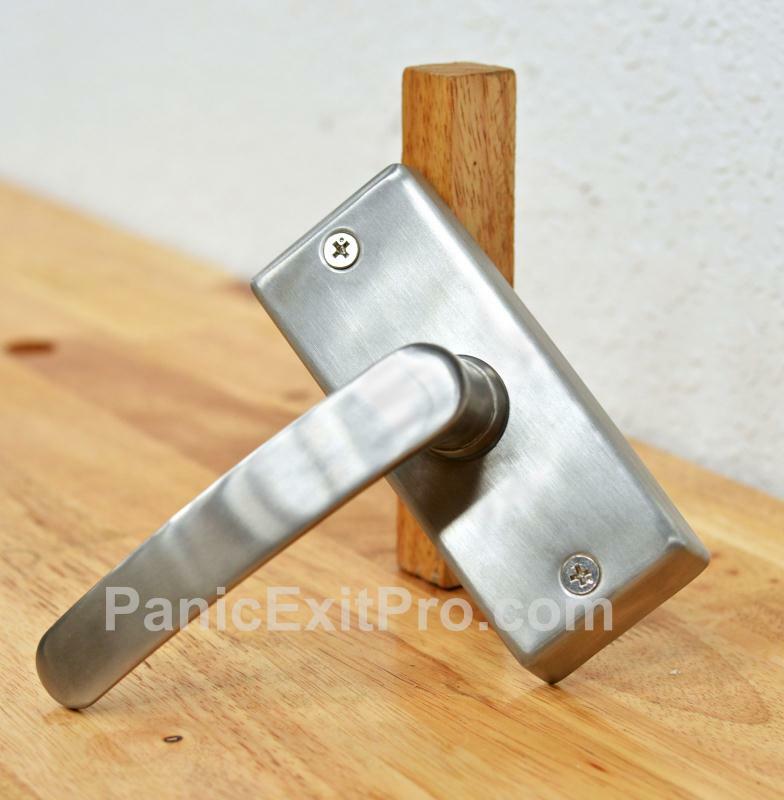 As long as these devices continually trigger the switches built in, you will be able to exit the property. 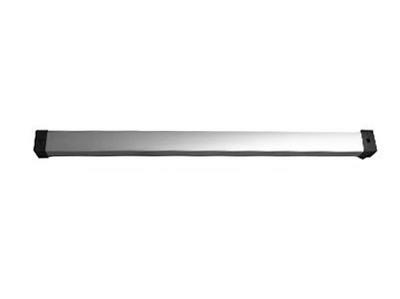 If you do pair the Linear AE-100 with a nucleus device you will have more options for exiting the property. 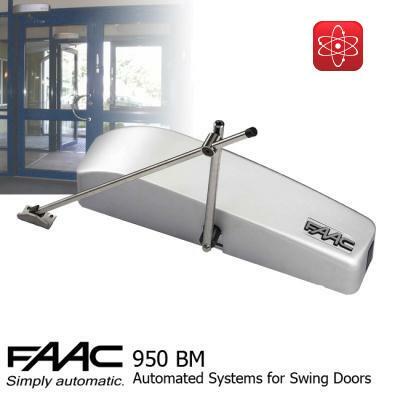 These choices include adding a automatic door opener or using a timed relay to control the exiting device. With the addition of a nucleus device you will be able to add a push to exit button or a IR hand sensor to exit the property. These two devices require the use of a timed relay to allow the locks to remain deactivated while you open the door. The AE-100 has the option of adding a postal lock, to allow postal employees to enter the property and deliver the mail. Also the AE-100 has the ability to add a color CCTV camera. Also the Linear AE-100 has multiple languages available for programming prompts and voice help. These languages are: English, Spanish, French-Canadian, and Portuguese. The Linear AE-100 uses a 16v AC included transformer, and has the capability of adding a backup battery.